No matter what corner of Japan you’re exploring you’re more than likely to stroll past a few Shinto shrines, completely in awe. Each shrine feels like world onto itself, full to the brim with spirituality, history, ritual, and an atmosphere quite unlike anywhere in the everyday. A visit to a Shinto shrine is something you definitely have to do if you’re in Japan (or even Washington State for that matter!). 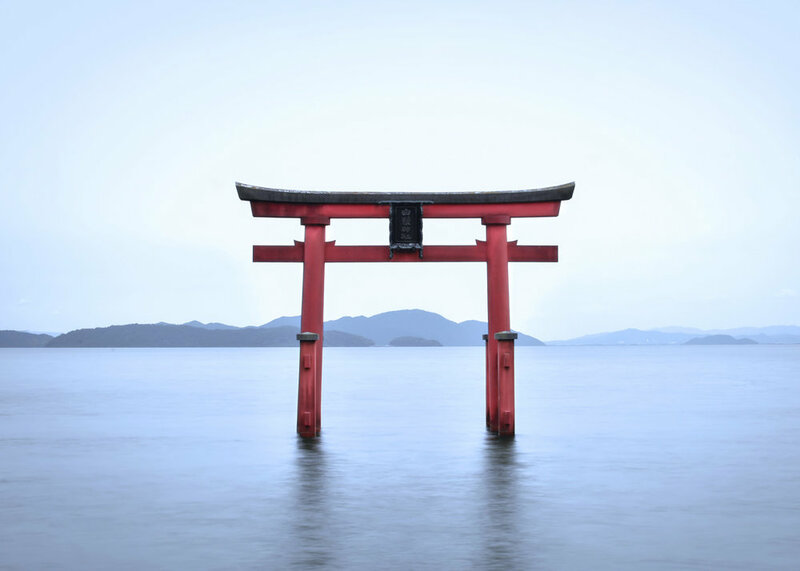 To really get the most out of your next Shinto shrine visit, here’s a helpful crash course on what they are, what to do when you visit, and 4 must-see Shinto shrines you should check out! What is a Shinto Shrine? How’s it Different to a Temple? A Shinto Shrine is the main physical place of worship for followers of the Japanese Shinto religion. The name of a shrine is typically followed by the suffix jinja. Its main role is to be the home to one or sometimes more kami spirits, worshipped in the Shinto religion. Shrines often have honden, which is like the main room where the kami lives. In some cases a honden is not required: in a shrine located on a mountain for example it is often the mountain itself that functions as the place of worship. What Shinto Shrines do share, in contrast to Buddhist temples, are the instantly recognizable torii gates. These simple structures, usually made in wood, denote the boundary between the sacred world within the shrine and the profane world without. Buddhist temples often have an entrance gate too, but these sanmon, as they are known, tend to be much more elaborate, almost like a temple by themselves. Up until the tail-end of the Edo period (1868) Buddhism and Shinto were essentially entwined. Both temples and shrines were typically used for the same purpose and Shinto kami were considered manifestations of buddhas. When the Meiji Government came to power, Shinto was edged into a more politicized role, representing a more natively Japanese religion in contrast to the perceived foreignness of Buddhism. Today there is a clearer distinction between the two religions than in the past, which is reflected in the experience of a Shinto shrine. What’s Inside a Shinto Shrine and What To Do There? If you really want to experience a Shinto shrine the traditional and authentic way there are a number of steps that should be followed. You’ll begin your visit at the temple’s torii gate; this towering double T-shaped frame is considered to be the entrance to the temple grounds. Be sure to bow as a sign of respect at the gates before proceeding underneath. The center of the torii gate is for the spirits to pass through, so when you enter, do so off-center to be respectful. Approaching the shrine you’ll find the temizuya, a large communal water basin for visitors to purifiy themselves before going into the shrine. To do this you would fill one of the ladles with water using your right hand, wash your left hand, then switch hands and repeat the process washing your right hand. Some people also choose to purify their mouths with the water too. This is not compulsory, but if you do, remember that the water in the temizuya is for purification, so spit (as delicately as you can) into the drain, not the basin! Now you’re clean you can head up to the main hall, which is where you’ll make a small donation and say a prayer. The box in front of you is known as a saisenbako. Throw a small coin donation in the box then complete the following steps: bow twice, clap your hands twice and bow again, then say a prayer. 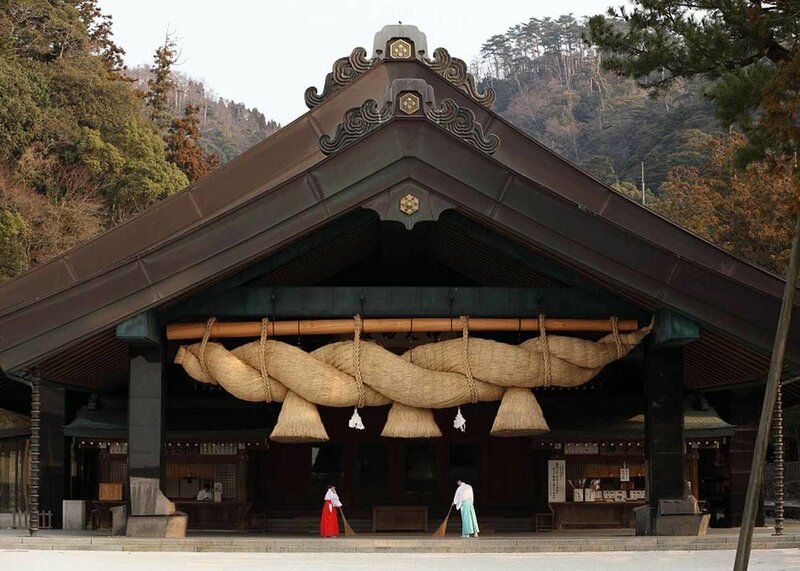 Many shrines also have a large a bell known as a suzu, hanging above the box, which you can ring before the process. The ringing of the bell is to tell the deity of your presence. On many Shinto shrine grounds you’ll also find an ema board, often used at Buddhist temples too. These boards are used to hang ema, small wooden plaques on which people write their prayers and wishes for the gods. You can typically buy an ema on-site. There are thousands of shrines and temples across Japan, and you can check out some great images from talented photographers at Surprising Temples Guaranteed to Get You on the Next Plane. But to really appreciate the spiritual weight, architectural power and historic significance of Shinto shrines, then be sure to pay a visit to some of the world’s most famous shrines. Here’s a small guide to some shrines across Japan we highly recommend you visit. Located in the city of Ise in Mie Prefecture, the Ise Grand Shrine is considered the central shrine of the Shinto religion. This sprawling shrine complex is one of the nation’s most expensive buildings in existence. What’s particularly fascinating about this site is that every 20 years the shrine is dismantled to be rebuilt in its entirety right next door. This revitalizing effort has been going on since the 700s, most recently in 2013 making the current buildings the 62nd incarnation. Head to Kyoto and chances are one of the main destinations on your itinerary will be Fushimi Inari Shrine. The shrine is most famous for its thousands upon thousands of vermillion torii gates that together make a network of tunnels weaving up towards the hill leading to the main temple site, many of the temple gates have been purchased by private donors. Generally the gates cost around ¥400,000 (about US$3,600) for a small one, and over a million yen ($9,000) for a larger gate. Its fame is well-deserved, but does mean the shrine gets very busy at times, so avoid weekends and public holidays. While you’re in Kyoto, make sure to get to the Geisha district – check out our Guide to Gion for more info! The history of this imposing shrine is a little enigmatic, but definitely worth diving into if you do have an interest in the world of Shinto shrines. Found in the city of Izumo in Shimane Prefecture, it’s generally considered to be the oldest shrine in existence, the main torii gate is lined by local restaurants and stores, worth visiting if you’re passing through the area. There’s plenty to see on the temple grounds, but one site you can’t miss (quite literally) is the temple’s honden, which standing at 24 meters tall, is the tallest shrine building in Japan. The exact date of the shrines foundation is not known, but it probably dates from a time before the arrival of Buddhism in Japan. To find out more about ancient Japanese history, check out the Best Places to Experience Ancient Japan. If you can’t get to Japan, then maybe you can make a visit to Washington State instead to explore the Tsubaki Grand Shrine. Originally erected in Stockton, California in 1987, and later moved to Granite Falls, Washington, in 2001 this is an authentic functioning Shinto shrine, and a sister shrine of sorts to the Tsubaki Grand Shrine in Mie Prefecture. 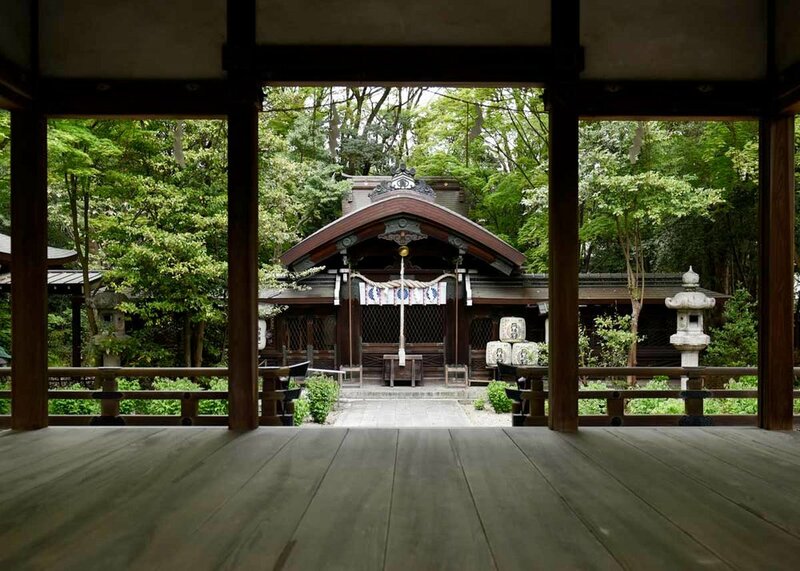 Do you have a favorite or secret Shinto shrine? Let us know about it in the comments below!